Love that you are digging into these issues! Excited to hear more of what you learned in this book when y’all visit, as I haven’t been able to read as much about Ferguson as I want. Can’t imagine carrying the burden Capt Johnson had to bear. Me either, Ston. Love u.
Captain Johnson’s memoir is riveting! The reader knows that he is a man of faith who loves all people! Just as Jesus asks, “Love One Another.” The captain live his faith in God and his love for family! Yes! Thanks for commenting, Jeanie. I am on a journey like yours and cant wait to read this book. Thanks for the review! Lauren, thanks for the review of this book. I look forward to reading things from Captain Johnsons perspective – from a man in the midst of it all, but looking through the eyes of faith and love. Great review Lauren. The quote, “I see both sides. But there shouldn’t be sides”, is so true. May God give us peace and bring us together in love. Praying for those who where affected by the riots in Ferguson. Blessings! Thanks for this review. It’s one I’m adding to my “to read” list. There shouldn’t be sides. For sure. Looking from the other side of the World my heart wept for your nation & our world! However, sadly it is not isolated to one nation or people group! Yes we are, Jennifer. Thanks for commenting. That sounds like a really good book to read to give more understanding of the situation there. It must have been a really hard time for Captain Johnson, but I know God used him and still is through his book. Blessings to you! I’m your neighbor at #porchstories. 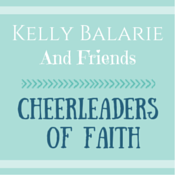 I am blessed to be your neighbor this week at #Tuneinthursday! What a heart-wrenching memoir you have reviewed here. 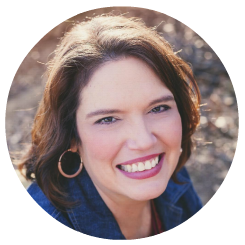 I especially love the quote you shared at the end: “nothing can be changed until it is faced.” Truly Jesus has spoke that same thing to us, when He asks us to seek Him, to look for the truth. This sounds like such a good book, and such good thoughts for all of us to face. Blessings to you! Wow! What a position to be in! But I’m sure God has Captain Johnson there for a reason. I don’t know what the answer is but I do know Who the answer is. Thanks for this. I think I forget about these problems (except for Fox news!) – bec I don’t see them here in our little town – and it grieves me so. Such a great review – tweeted. It’s is so easy to forget when you don’t think that way. Thanks for reading, Sue. 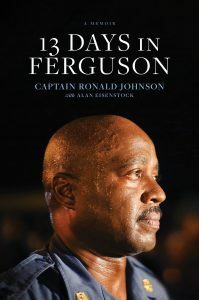 The events at Ferguson were so pivotal and I am glad to hear about this book highlighting Captain Johnson’s experience. It sounds like a good read and a chance to gain an inside look at what happened. Sad that Johnson let the thugs loot and burn down the city of Ferguson. His ineptness cost Ferguson dearly and now he expects to profit from a book praising his leadership. Pathetic.